Here then, is the other one. While 'Juliette' has that classic chanson sound to it, 'La Femme' is very much in tune with the best orchestral pop of it's time (1967), featuring exquisite arrangments by among others Michel Colombier (Gainsbourg, Pierre Henry, Beach Boys...). If this was in English and sung by a man, it could have been a Scott Walker album. Sounds great - I mean your description - can't get rapidshare to work at all. Think this may be me though - my laptop seems rather idiosyncratic at the moment. I'll keep a lookout in the shops though. Keep up the good work. 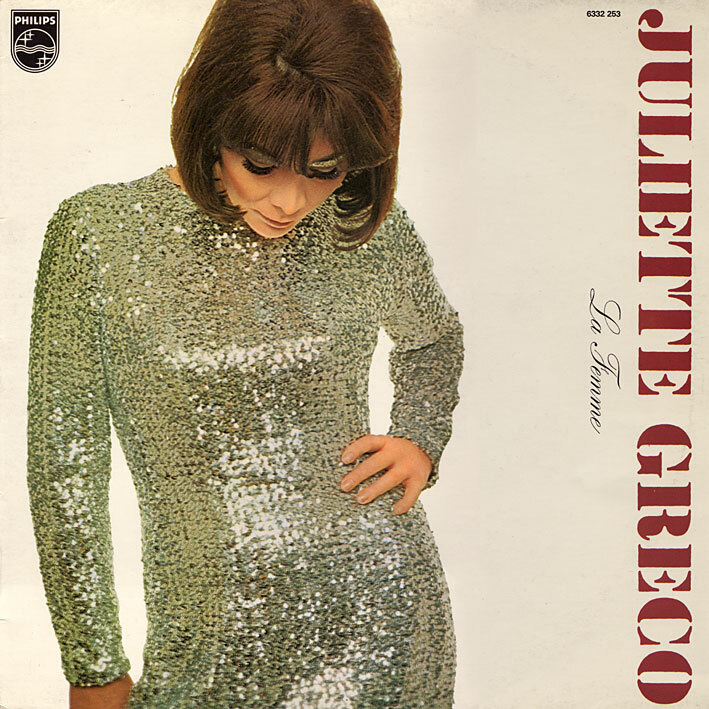 I was only aware of Juliette Gréco because of the song "Sous Le Ciel de Paris", which I have on a compilation somewhere. That's from 1952, but she sounded pretty young on that. She sounds a bit more mature here, and all the better. These titles sure tell you that this is a product from the swingin' 60s, don't they? "Dans ton lit" ("In your bed") and "Déshabillez-moi" ("Undress me"). The sounds on the album are pretty varied too, I think, but it doesn't make the album fragmentary at all. Definitely worth a listen and up there with the greatest French chanteuses.